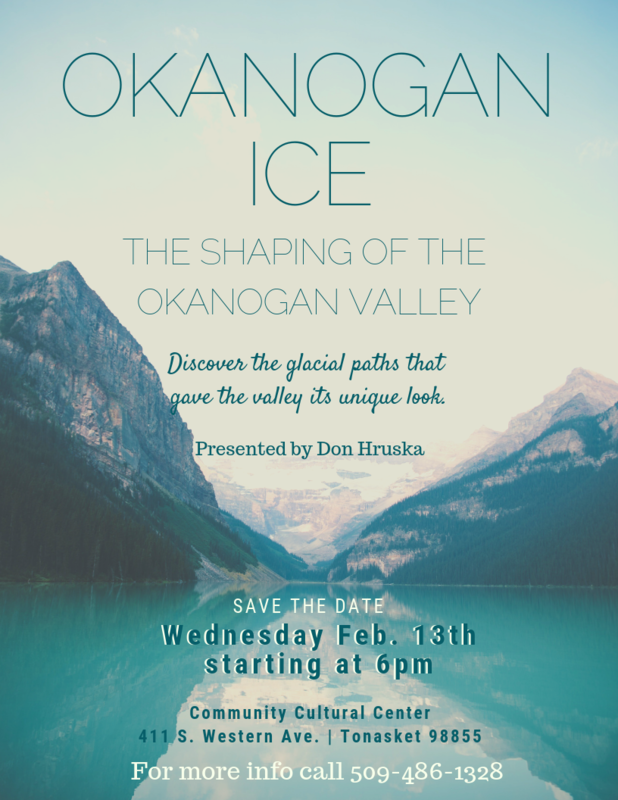 The shaping of the Okanogan Valley. Discover the glacial paths that gave the valle its unique look. Presented by Don Hruska. Free, 6:00 p.m. at the Community Cultural Center, Tonasket.